"With my game controller in my hands, I'm the boss of my whole world! I can be who I want and do as I please. I can get the highest score. I get all the chances that I need. If I make a mistake it's ok. Everyone thinks I'm 'it on a stick!' And the bad stuff all goes away"
Video game addiction is on the rise, but it can be prevented. 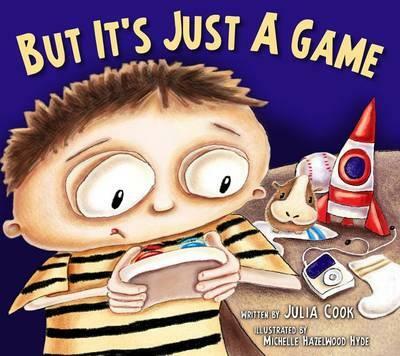 This creative story book teaches both kids and adults how to switch out their game controller for a "life controller." Video gaming is becoming a part of our culture, and we must be strategic in creating a healthy gaming balance. 32 page, softcover.